On November 17, 2007 93.9 WWFT Fishers/Indianapolis dropped its 11-month old News/Talk format in favor of Christmas Music as “The Christmas Channel”. This move, in retaliation for Emmis’ announced move of 1070 WIBC to 93.1 FM on December 26, gave Indianapolis its 2nd all-Christmas format. On December 26, WWFT stunt changed to an announcement of a new format launching on January 2, 2008 at 9:39am. 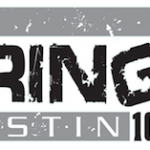 The new format, “Warm 93.9” which debuted with The Police “Every Breathe You Take”, was clearly designed to take shares away from Emmis’ WYXB “B105.7”. Cumulus’ has similar “Warm” branded AC’s that it acquired from Susquehanna along with WWFT in Cincinnati and York, PA. Anybody know the name of that song they played between the announcement was? It played non-stop and was pretty weird. They said to expect something different. My family was hoping the format would have been “Dr. Dementoesqe” instead of just another light rock station. This one’s for you Doug. I have found the songs. There are actually 2 songs. Jean-Jacques Perrey does ‘Swan’s Splashdown’, and the other song is ‘Lonesome Road’ by Dean Elliott and His Big Band. This has been fun for me to find out. Jean-Jacques Perrey sure looks like a musical genious now that I read up on him some. Another change in format? I listened briefly earlier today. Sorry……..I do not like it at all; therefore I will not continue to be a listening supporter. Are you discontinuing the Sunday morning christian music also? As a Sunday School teacher I was always playing your station as background music during my classtime. 106.5fm in Toledo/Delta Ohio used this stunt in fall of 2001, when Rock 106 became 106.5 The Zone.